The Impsport custom Rain Gilet with pockets is designed to help you endure wet weather rides when you may need to carry more supplies or for extended race or training sessions. Made from Vela Plus fabric the sleeveless gilet keeps your core temperature at optimum whilst also providing additional cooling for improved performance. Light weight construction can be stored in a jersey pocket or kit bag ready for action. Price (including VAT) per unit. A minimum of 5 of this item must be ordered before production can commence. 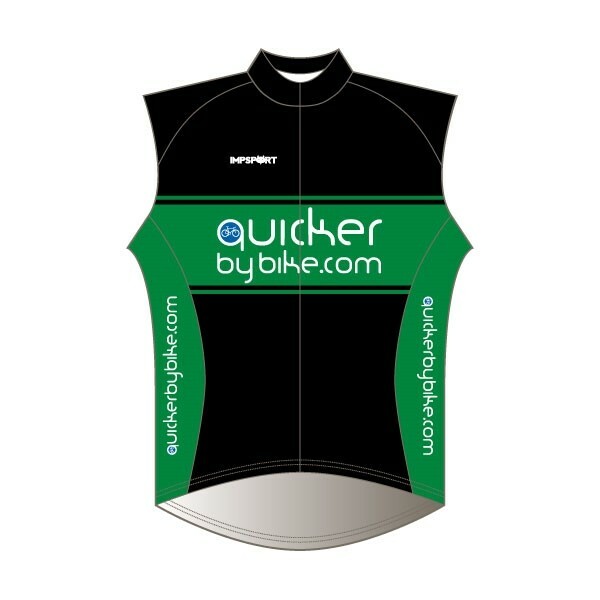 Manufactured in Vela Plus fabric to repel water whist being light weight enough to put in a jersey pocket or kit bag. Slim, athletic cut with side panel patterning for increased comfort, fit and logo/design application. Full length zip to augment body temperature as required . Two piece collar with fleeced inner for improved comfort. 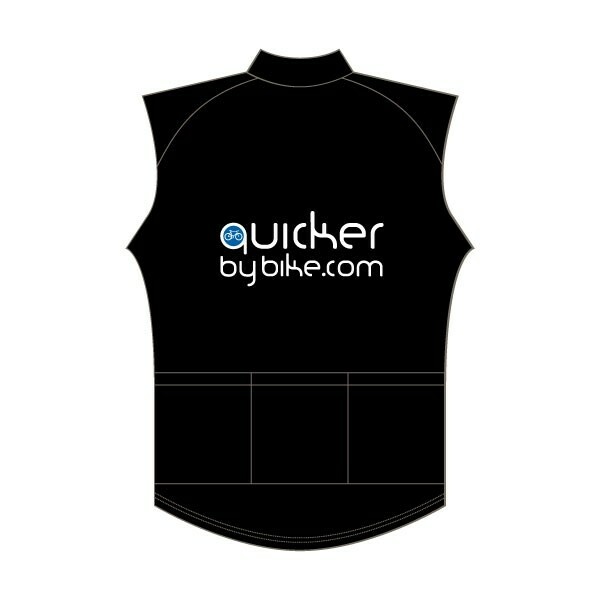 Non-slip elasticated hem helps to keep the gilet in position. Designed with full back panel and rear compartment pockets. Dynamic design aesthetics and fully customisable print. Stretch arms for full mobility and freedom of movement.